The Star Wars TV series is been created by Jon Favreau and features a star-packed cast that includes Pedro Pascal, Gina Carano, and Werner Herzog. After the release of the first trailer for the highly-anticipated film, 'Star Wars: Episode IX — The Rise of Skywalker' on Friday, Disney released the first footage from their upcoming 'Star Wars' live-action television series, 'The Mandalorian', on Sunday at the Star Wars Celebration in Chicago, reported Entertainment Weekly. The TV-Series is said to focus on a new warrior inspired by the uber-popular Star Wars character Boba Fett and be set shortly after 'Star Wars Episode VI: Return of the Jedi'. 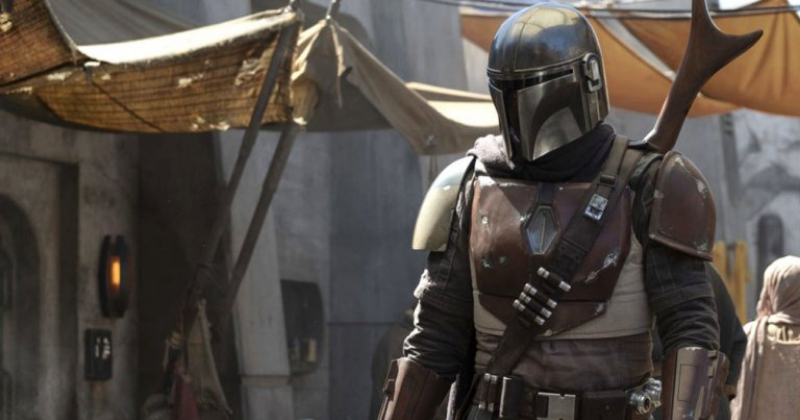 The Mandalorian is the first major television series that will air on Disney Plus, and the streaming giant plans to launch this fall. The series is said to have eight episodes and is reported that it took $100 million to make it. Jon Favreau, director of 'Iron Man', 'The Jungle Book', and the upcoming live-action version of 'Lion King' is the executive producer and writer of the show. 1. What is the plot of the show? The Mandalorian is a race of warriors who featured in 'Star Wars: The Clone Wars.' Boba Fett, a bounty hunter who first appeared in the original 'Star Wars trilogy, was not himself a Mandalore, but he wore that armor for intimidation purposes. The director announced on Instagram that the plot of The Mandalorian would focus on a “lone gunfighter” who operates in the far reaches of the galaxy, outside of the New Republic’s reach. The show will also be set three years after the 'Return of the Jedi'. 2. When is 'The Mandalorian' being released on Disney Plus? The TV-series will be released on the streaming giant on November 12, the same day Disney Plus launches. Disney also hopes to take a part of Netflix's market share with its service, which will also include Marvel shows, Pixar spinoffs and live-action remakes of classic Disney films. 3. Who all are starring in the series? 'Game of Thrones' and 'Narcos' actor Pedro Pascal will probably play the titular Mandalorian and he will be joined by Nick Nolte, Carl Weathers, Giancarlo Esposito, Emily Swallow, and Gina Carano. Weathers has also revealed that his character hires Pascal’s mercenary gunslinger to acquire a precious object for him. Carano revealed at Star Wars Celebration that she will play an ex-rebel shock trooper. 4. Who is the director? The director of the series are Taika Waititi, Rick Famuyiwa, Deborah Chow, Dave Giloni, and Bryce Dallas Howard will each direct a different episode.